Today’s morning walk is distinctively different. New birds are singing new tunes. Change is in the air. 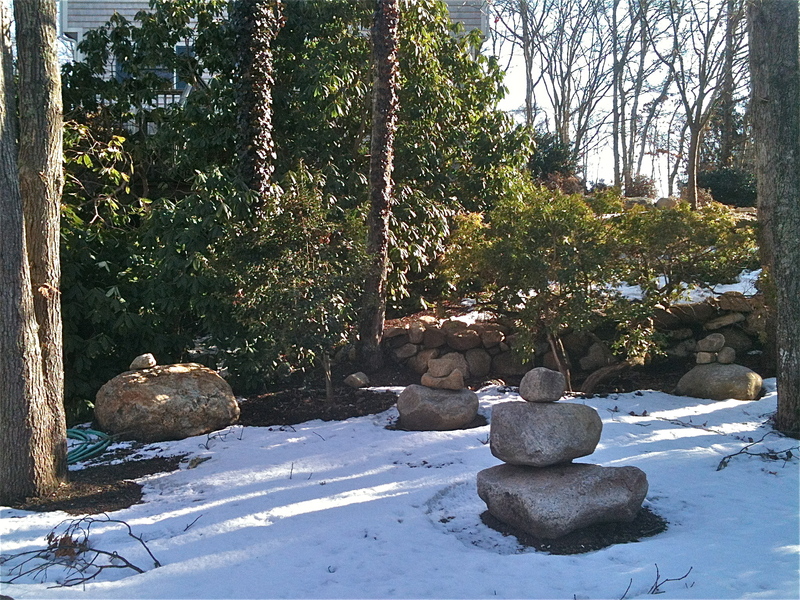 There’s still some leftover snow around the yard, but not much elsewhere. 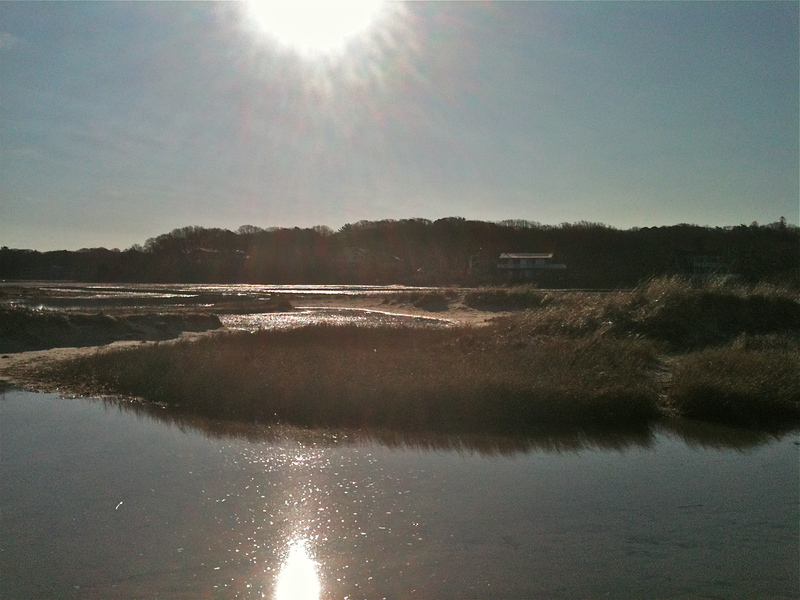 The marsh is no longer frozen, and the tall grasses are cut down by the blizzard’s wind. The creek is more blue than ever. Before long there will be beach chairs, towels, and little ones looking for hermit crabs. 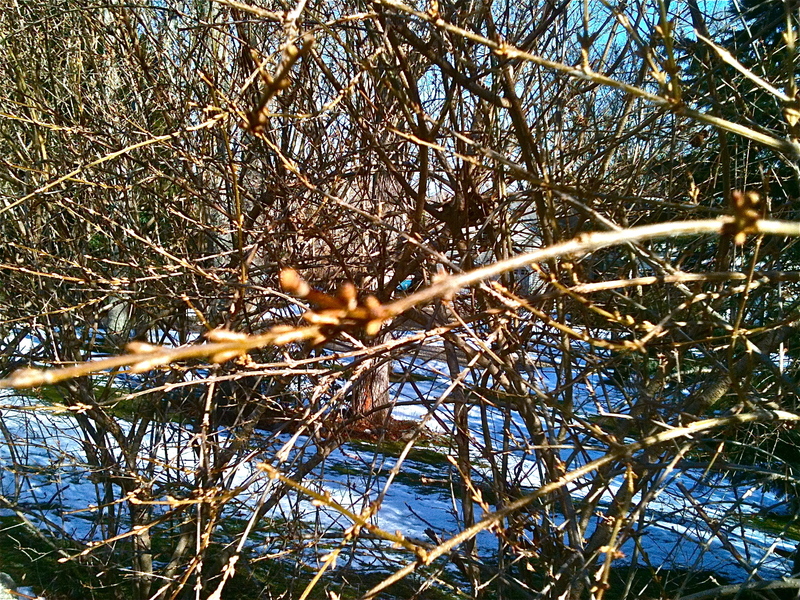 And as my wonderful Dad would say, “The forsythias are forsythiating.” Spring is starting to unwind at the Cape. 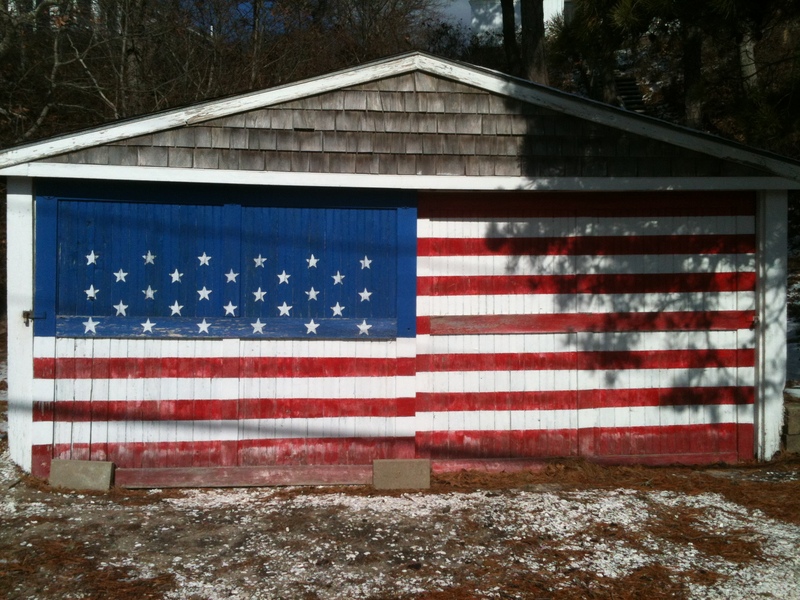 Posted in Cape, exercise, simplify. Bookmark the permalink. 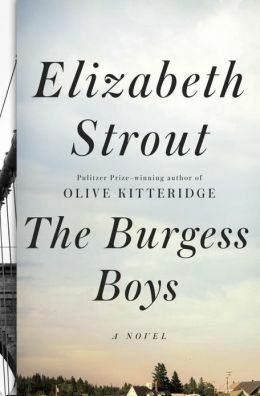 The Burgess Boys is Elizabeth Strout’s latest book and is to be released in March. I just finished reading an advanced copy and am telling you now—go order it. Strout is masterful at creating characters that are very real. I read this book in a day because I couldn’t put it down. I needed to see what happened to these prople, and I wanted to keep reading her skillfully crafted sentences. Both the product and the process are successful. You can tell that Strout likes words—and is particular about the words she uses and how she places them. It’s an art, and I’m drawn to her skill set. The Burgess Boys is one of those books that I re-read single sentences multiple times, just to hear them again in my head and marvel at the “wordsmithing”. She captures the small details that create monumental tension and dysfunction, especially within families. Family members and loved ones are stung in the banter and deceptions of the day. We feel the thorns and, with time, enjoy the roses. The words convey the conflict as well as the family bonds that keep it all together for better or worse. We see the admirably strong bonds that exist amongst siblings, even when deception, dysfunction and enabling are strong deterrents to the relationships. This tension throughout the novel is engaging and seductive. Stout revels the cost of errors and bad judgment between couples; infidelity is just one variety of estrangement. Do people enter relationships only to get what they need? And what are the consequences of that motivation? Many times during the course of this novel, characters have to assess whether the pain caused by “loved ones” is worth tolerating. We get examples of likeable characters who put up with unacceptable toxic behavior for years… and others who cut the cord and seek refuge elsewhere. There’s a lot more tolerating than I’m capable of, but I like how Strout shows the options and the consequences. I do find it ironic that more tolerance and latitude is shown toward blood relatives than any other group, even when it is almost fatal. Outsiders are given no leeway before judgment is called. The author focuses not only on family, but the family in the larger sense: community. What happens when newcomers are only seen as outsiders? She plays with this theme in a variety of ways. 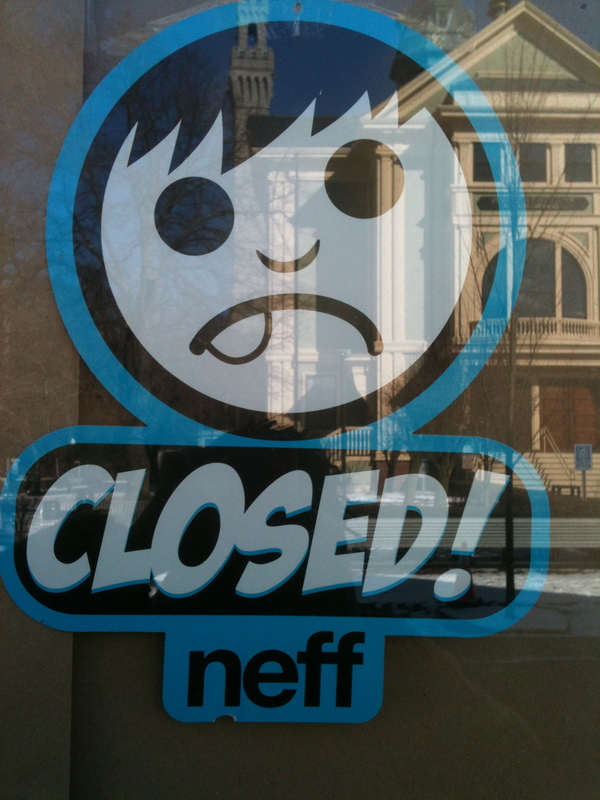 Who gains acceptance and who is un-welcomed in a family or in a town. The immigrants from Somalia provide a means to explore prejudice, discrimination, fear and the consequences of clicking one’s emotional “delete button” before knowing a person. Likewise class-ism rears its head; the affluent characters and less affluent ones are seldom on equal or welcomed footing. There is a lack of connection and understanding that is the root of many problems these players encounter. Stout isn’t preachy, she’s an astute observer of human behavior; the reader gets to draw conclusions. It’s all very real. There is a rhythm, momentum and chemistry to this novel that is constant and captivating. As a reader, I care about the characters and connect to many while staying equally involved with the plot and totally celebrate the writer’s style. What more could I ask for? Posted in read, review, teach. Bookmark the permalink. 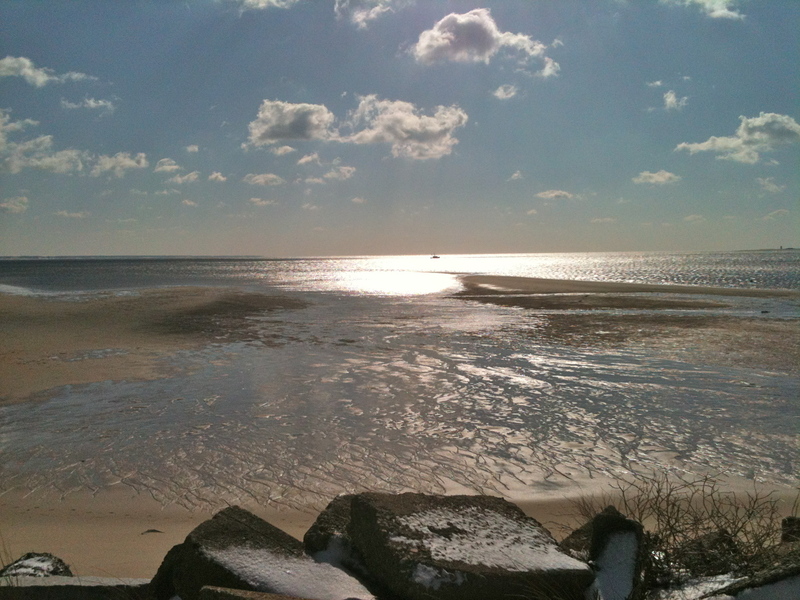 A day trip to the Outer Cape this week is significantly differently than one in prime tourist season. No, there were no half-naked people shopping or musicians in nooks and crannies…but it was, nonetheless, a satisfying jaunt. 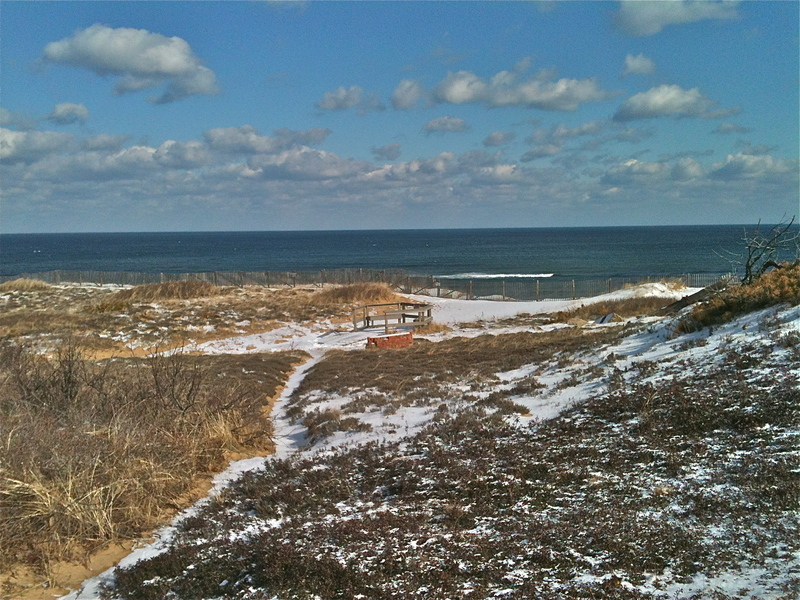 The drive from Falmouth to P’town took only 80 minutes—no traffic. We got a parking space easily, just off Commercial Street. Needless to say, there were no crowds. Most stores were closed for the season, so instead of looking for merchandise, I scoped out the architecture, the sky and the sea. 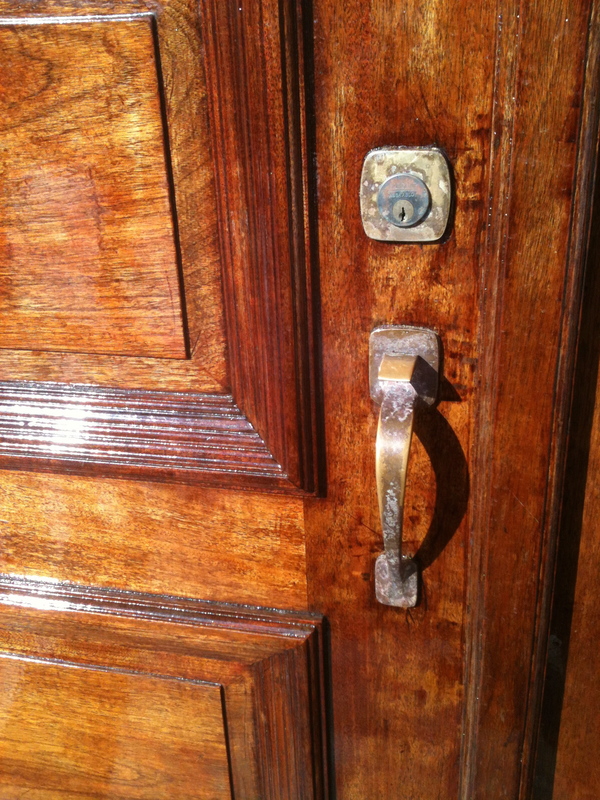 What went unnoticed amongst the throngs had a chance to be in the February spotlight. 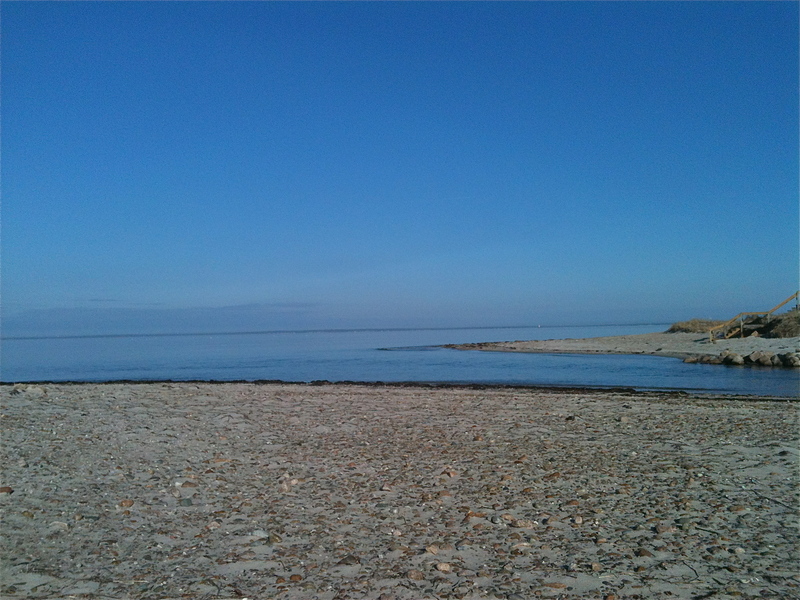 The beaches were empty, quiet and peaceful. The reflecting light was addictive. It’s time like this I wish I could paint. 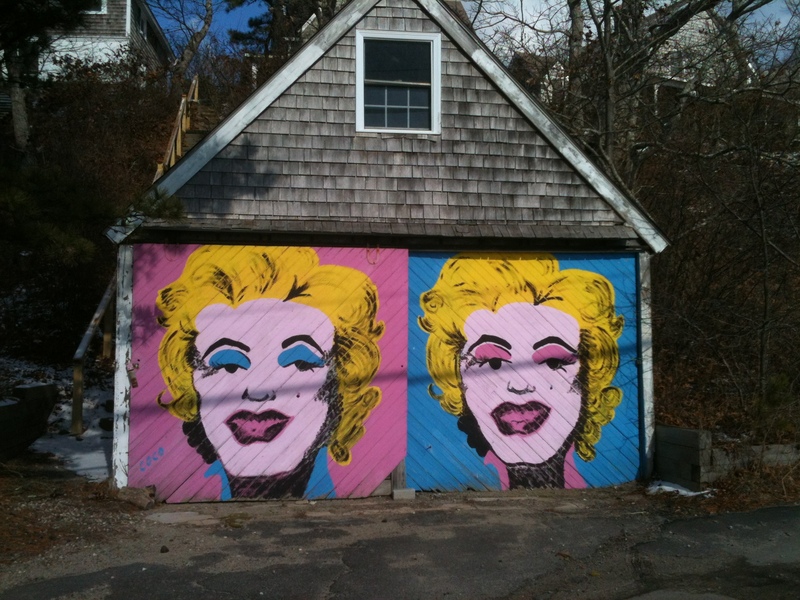 While hunting for an open restaurant, we stumbled upon two fabulous garage door paintings… too bad we don’t have a garage at the Cape! Who cares about finding a restaurant when you find these two beauties? The homes of all year residents stood out with winter window boxes, icy wreaths and recycling/trash tied in neat bundles, almost like presents. Tradesmen trucks were abundant as off-season renovations were underway. It was very, very quiet. Our next stop was Marconi Station and the Great Atlantic Cedar Swamp in Wellfleet. 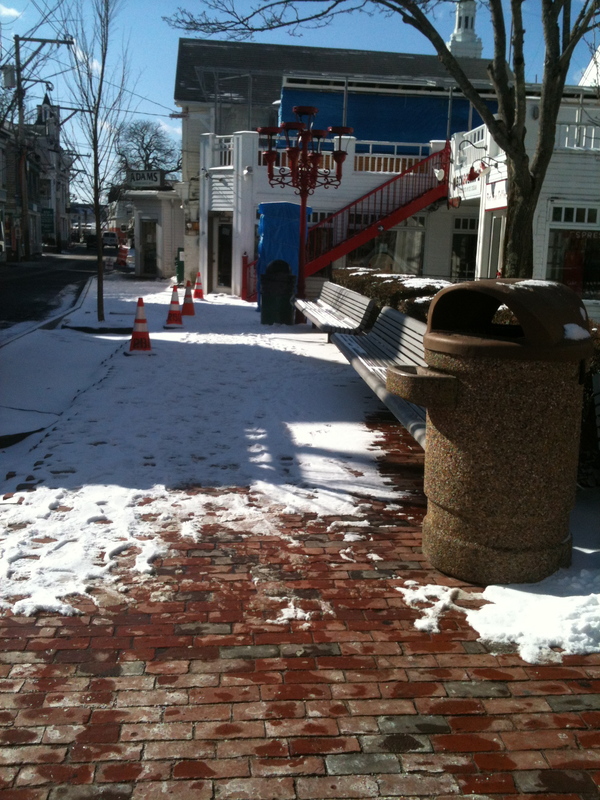 This is one of our all time favorites during the warmer months, and we had never been there in winter. It was sound asleep, and trees sounded like old bones creaking. 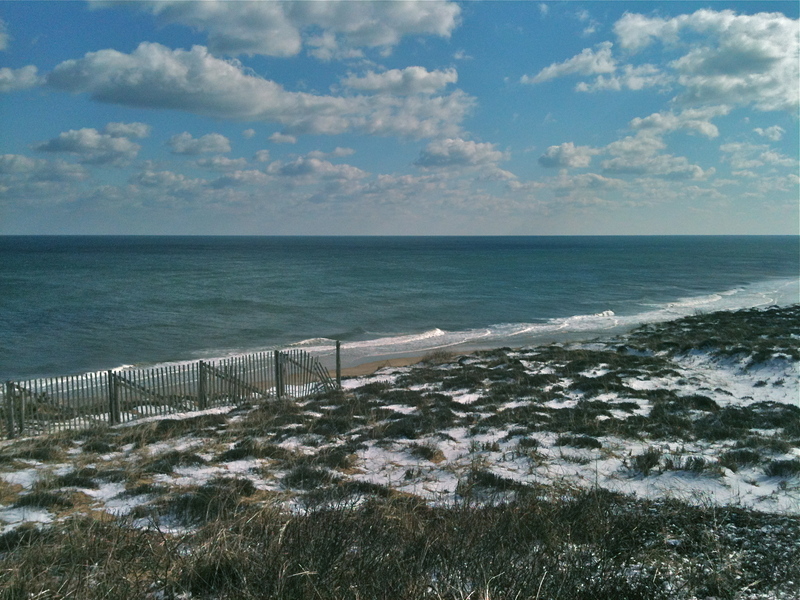 The wind had a sharp, cold edge, and the crashing waves left a white ruffle as far as the eye could see down the shoreline. A brisk walk ended up being very brisk and very short. My face hurt from the cold. The scenic route home found us meandering on Route 6A instead of the more trafficked highway. There was time to scout out the geography as well as local commerce. 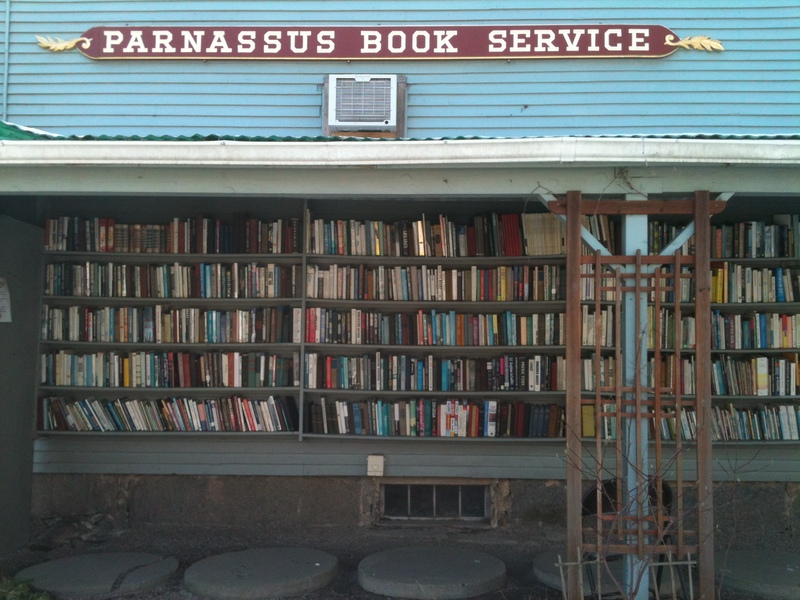 One previously overlooked gem in Yarmouth Port is Parnassus Book Service, a large, used bookstore, staffed by very smart, well-read folks. 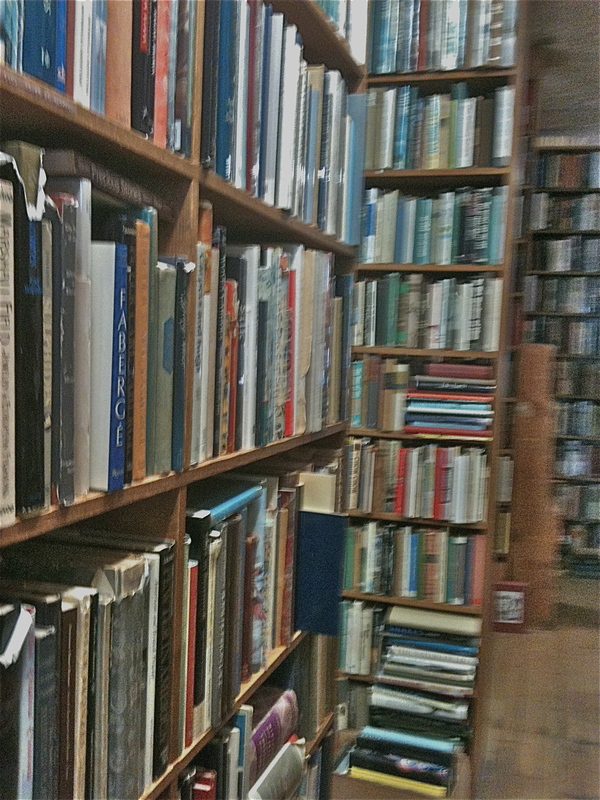 More than sixty years ago, the building had been a general store; now, it’s stacked from floor to decorative ceiling with the most eclectic selection of titles. 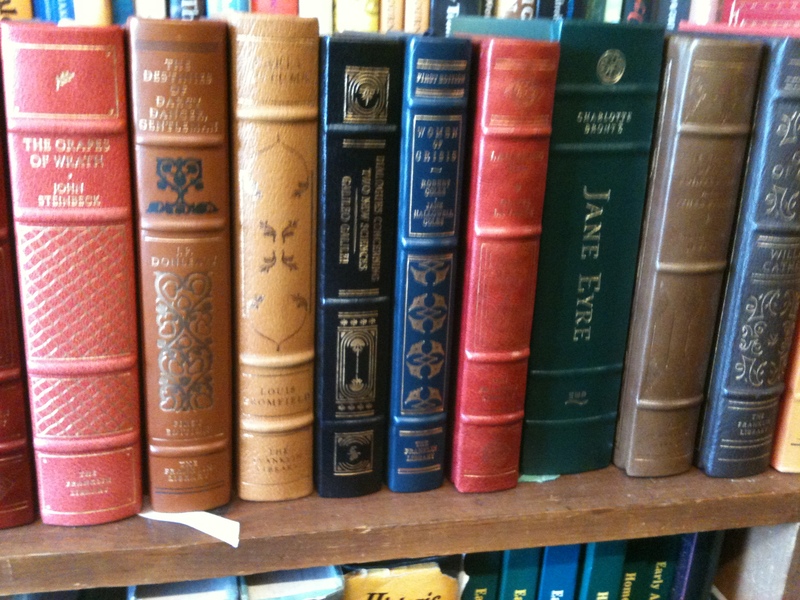 Neither my husband nor myself could figure out how these books were organized, but that really didn’t matter. To be in the presence of all these pages was a gift. We bought two books: Louise Hall Tharp’s Mrs. Jack (a biography of Isabella Stewart Gardner) and The Great Rehearsal by Carl Van Doren(The story of the making and ratifying of the Constitution of the United States). When I’m in a unique store that’s new to me, I always ask, “What should I not leave without buying here today?” I do this in cheese shops, wine and yarns stores and am seldom disappointed. These were the two books I was told I had to get— I’ll start them next week. I’ll go back to Parnassus again and again and again. What a find! Hunger finally set in as it neared 2 pm. We passed restaurant called “The Optimist Café”—my kind of place—but with no cars in the parking lot, I turned pessimist. Then we found two cafes open in Barnstable. One was a fancier restaurant with more than its share of upscale cars in the lot. 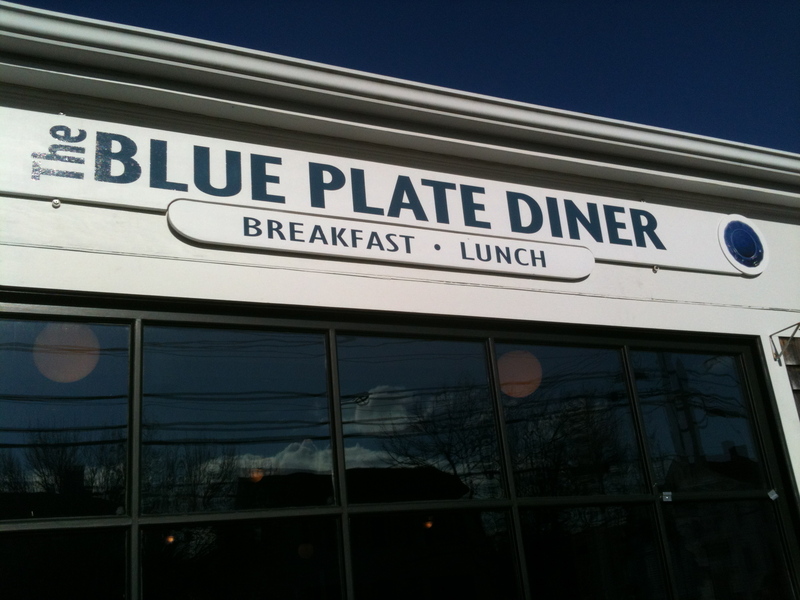 The other was The Blue Plate Diner. The diner was friendly, the menu was tempting, service was terrific, and I just wish I had room for the homemade blueberry pie. I’m so glad that we stopped there. I guess this trip taught me that slowing down and having less to distract me has its advantages. This same route in July would have yielded a very different experience. Both have merit and both are needed. It’s sort of a ying/yang rhythm that keeps one in balance. I can’t wait to see it all again in the Spring. Posted in Cape, create, read, simplify, Uncategorized. Bookmark the permalink.